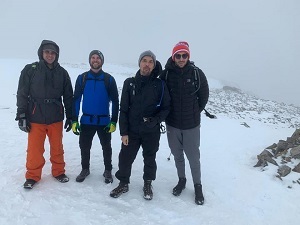 All at Bakers of Danbury would like to congratulate our Joinery Workshop Manager Paul Revill and his friends, who took on the Three Peaks Challenge to raise money for the mental health charity MIND, in memory of their friend Ibish Peri who they sadly lost in September 2018. Paul climbed all three peaks in an amazing and inspiring time of only 24 hours 17 minutes! The Three Peaks Challenge is considered one of Britain’s toughest outdoor challenges, taking on Ben Nevis in Scotland (1,344 metres), Scafell Pike in England (978 metres) and Snowdon in Wales (1,085 metres). Paul and his friends took on all three peaks within one day and so far have raised a massive £3,750! By raising money for MIND, we will be helping the charity offer advice and support to anyone experiencing a mental health problem. MIND offers two confidential mental health information services, the MIND Info Line and the Legal Line. MIND also campaigns to improve services, raise awareness and promote understanding. 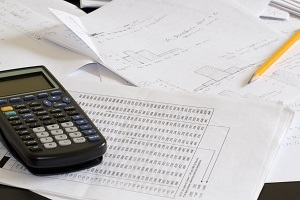 This includes health services; legislation; protection of legal rights, and employment. For more information on MIND visit www.mind.org.uk. For every £3 donation made to the just giving page you will receive one ticket to enter the Grand Raffle which will be drawn 27th July 2019. 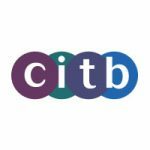 Raffle Prizes include 2 night Hilton break, £2000, £500, £300 to spend on power tools plus more (all prizes are listed on the Just Giving Page). To enable Paul to allocate a raffle ticket for every £3 you donated, please email Paul at paul.revill@bakersofdanbury.co.uk telling him how much money you have donated and your email address. Well done Paul - we are all very proud of you here at Bakers of Danbury! Please help us raise money in aid of MIND (for better mental health) by donating what you can by visiting the just giving page. 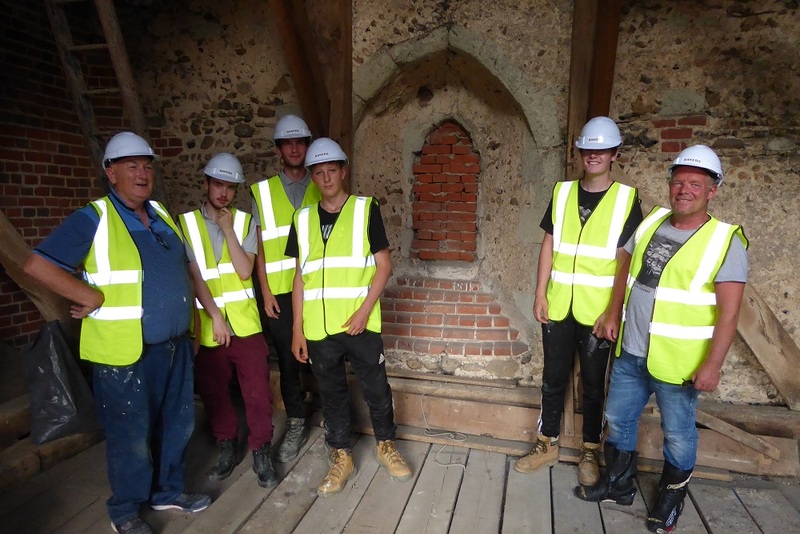 Bakers of Danbury work with a number of local schools and colleges to help make students aware of the opportunities available within the construction industry that may suit their interests and skills set. 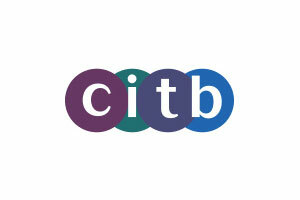 Our long term goal is to help reduce the skills shortage within the construction industry. We offer apprenticeships to students who are looking to continue with their education whilst gaining practical experience at the same time. 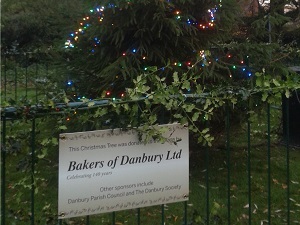 Bakers of Danbury were very proud to be the main sponsor for the Farleigh Hospice Christmas Tree Recycling this year. The Christmas Tree Recycling event raised an amazing £27,000 (a massive £7,000 more than last year), of which Farleigh Hospice will be sending £1,300 to two local charities. 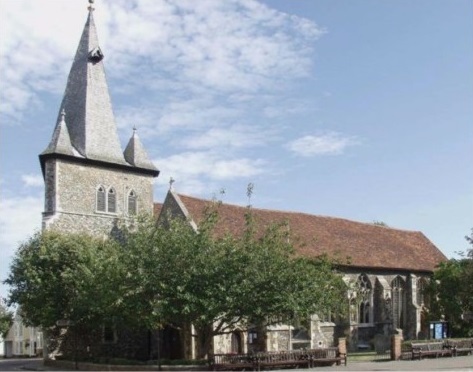 The two charities chosen by Farleigh Hospice this year are the Chelmsford Community Transport as they help Farleigh Hospice patients as well as those who live in rural areas, and Sanctus who provide services for the vulnerable and homeless. We rely so much on the support of the local community to help us continue providing all our specialised services totally free of charge, and your support for the Christmas Tree campaign has been very much appreciated. Once again, thank you. It really is because you care, that we can." 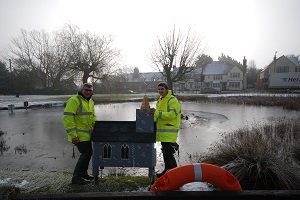 Bakers of Danbury's onsite joinery workshop recently built and donated a new duck house to the village. 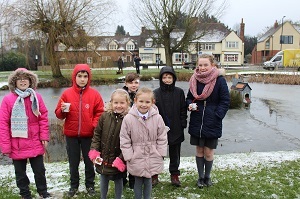 On Friday 1st February representatives of Danbury Parish Council, Bakers of Danbury Ltd, children from the ECO Council for St John’s C of E Primary School, children from Heathcote Preparatory School and some local residents all braved the cold, wet and snowy weather and met on Eves Corner to watch the ducks officially take up residence in their new home. 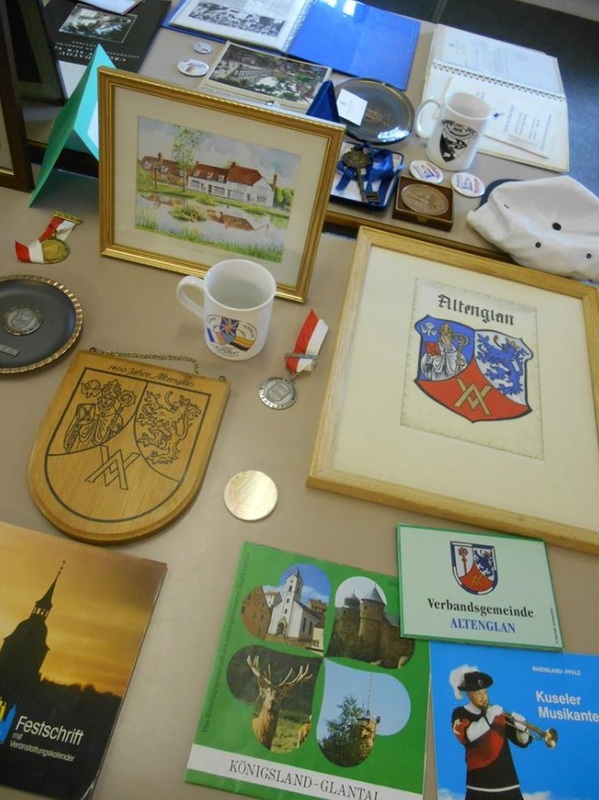 To read more please visit our latest news page. 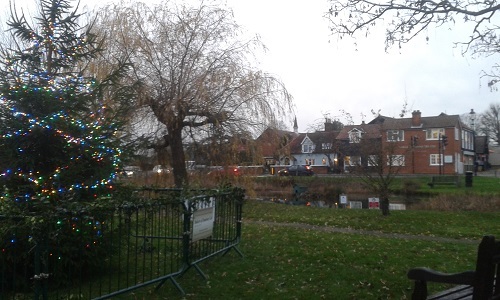 Bakers of Danbury Ltd donated a 20 foot Christmas Tree to the village this year to show the company's appreciation to the village for it's support over the 140 years. This Summer Bakers of Danbury celebrated their 140th anniversary. 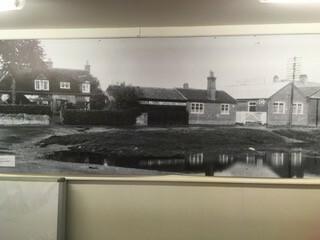 Bakers have always been based on Eves Corner in Danbury, Essex. Many local men and women have either worked for Bakers or have relatives who worked for Bakers many years ago! In 1878 William Baker opened business as a “Millwright, wheelwright, carpenter etc” with only £50 and a horse and loaned cart. 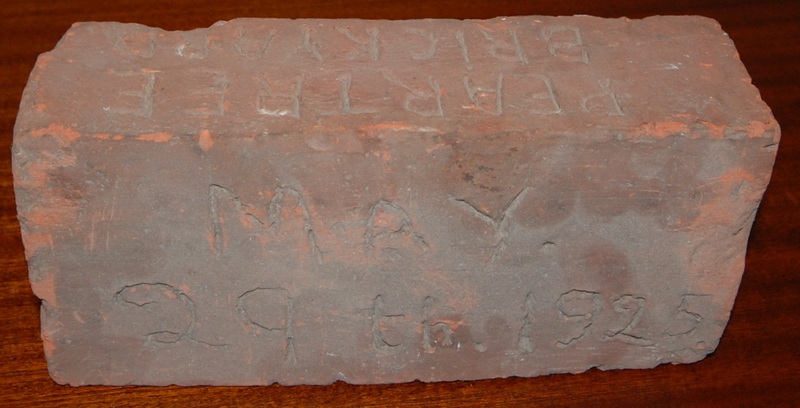 William Baker worked on many mills local to Danbury. 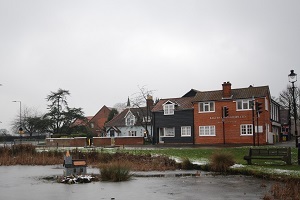 Although with the demise of mills there were few mill jobs after the 1890’s, at which point William Baker concentrated on building and a small amount of church works. 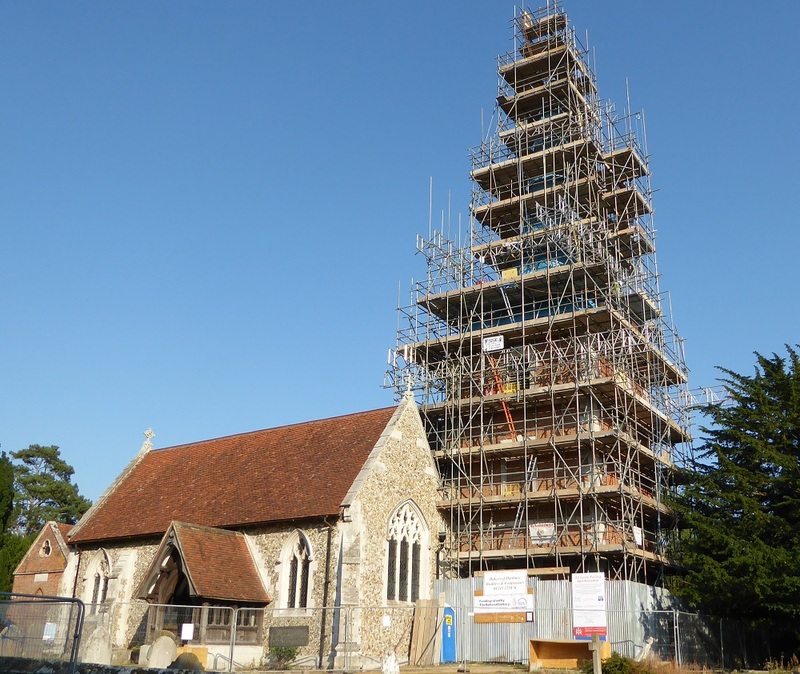 Today the company is very similar with recent projects ranging from the conservation and restoration project in Westminster Abbey completed earlier this year, to the new build of four apartments in Maldon. 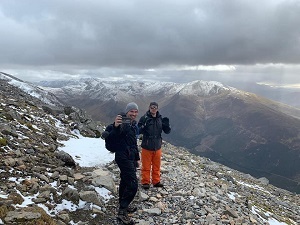 All at Bakers of Danbury are proud to sponsor our Joinery Shop Manager Paul Revill and his two friends Reza Sani and Paul Smeeton who will be taking part in the three peak challenge on Saturday 23rd March 2019. 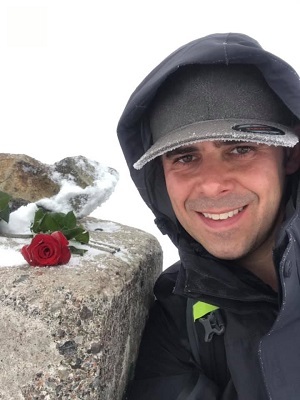 The three friends will be taking part in the challenge to raise money for the mental health charity MIND in memory of their friend Ibish Peri who they sadly lost in September 2018. The three friends describe Ibish as being a person who spent his life making others happy. Ibish was the Manager of Mercy night club and had just opened a new bar/club called BISHED. On their just giving page the three friends say "We all have our problems and worries and like Ibish we never show it and just carry on pleasing others with a big smile on our face. Little did we no how much Ibish was hurting inside." The three friends will take on the three highest peaks in England, Scotland and Wales in just 24 hours. 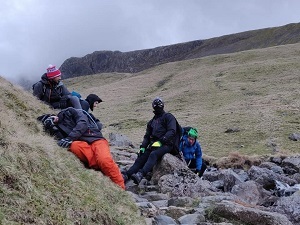 Considered one of Britain’s toughest outdoor challenges, the National Three Peaks Challenge takes in the dizzy heights of Ben Nevis (1,344 metres), Scafell Pike (978 metres) and Snowdon (1,085 metres). 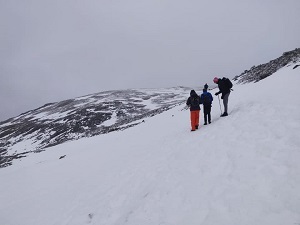 Over the course of the challenge, the three friends will trek around 26 miles and ascend to a total height of almost 3,000 metres. 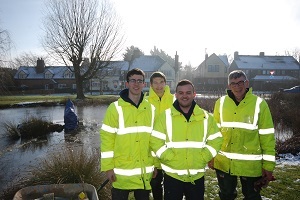 With the sponsorship money Bakers of Danbury has donated, together with that from Frank Howard Tools and Fixings Ltd; the three friends will buy walking boots and mountain jackets for the challenge. For every £3 donation made to the just giving page you will receive one raffle ticket. 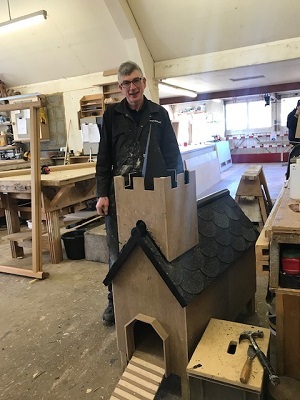 To enable Paul to allocate a raffle ticket for every £3 you donated, please email Paul at paul.revill@bakersofdanbury.co.uk telling him how much money you have donated and your email address. 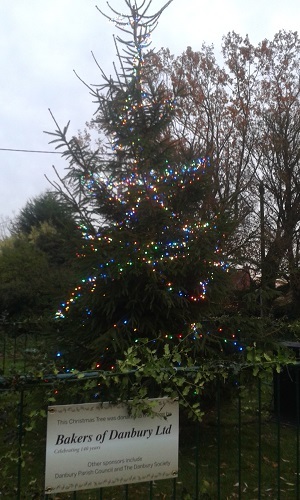 Bakers of Danbury are very proud to be the sponsor for the Farleigh Hospice Christmas Tree Recycling this year! 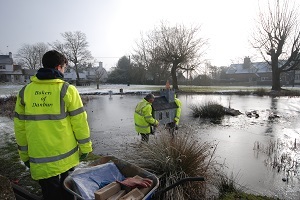 This is the 5th year Farleigh Hospice have arranged the Christmas Tree Recycling event, and it is growing every year. 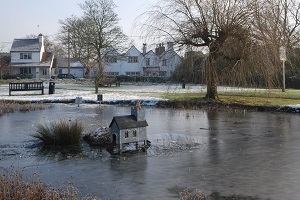 Farleigh Hospice arrange for teams of volunteers to collect the trees over the first weekend in January. 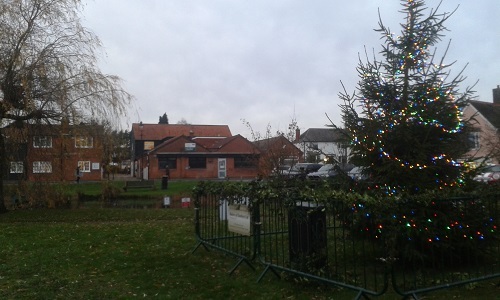 The trees are chipped and recycled - some are used in local parks and some to make fuel. To pre-book your Christmas Tree to be collected and recycled (minimum suggested donation £5) register on www.farleighhospice.org before 12 noon on Thursday 3rd January. The Christmas Tree Recycling is organised with the assistance of a charity called ‘JustHelping’ which has sophisticated software. Through the Farleigh Hospice website, the software enables customers to book online to have their Christmas tree collected, pay a donation (suggested minimum donation of £5), complete all their address and any relevant information such as where they will leave their tree. Lots of local firms and individuals volunteer their time to drive around the countryside collecting the Christmas trees from people's doorsteps and deliver them to the collection points, ready for chipping and recycling. We are delighted that you have agreed to help sponsor our Christmas Tree Recycling Campaign this year"
At any one time Farleigh Hospice is taking care of the physical, emotional, social and spiritual needs of around 1,400 people, free of charge. It costs £16,039 every day to care for people with life-limiting illnesses in mid Essex by providing doctors, nurses, counsellors and therapists. With approximately 40% of our income coming from the local NHS, we rely on the support and goodwill of the local community to raise the remainder. Whether someone requires relief from pain, expert advice, help to live positively, specialist care in a comforting environment or support for their family, we are dedicated to offering them compassionate care. Once again, thank you. It really is because you care that we can. 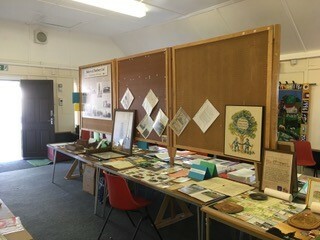 Bakers of Danbury were proud to provide some interesting artefacts and photos to display during the Danbury Heritage Weekend, which took place at the Old Pavilion in Danbury on Saturday 22nd and Sunday 23rd September. 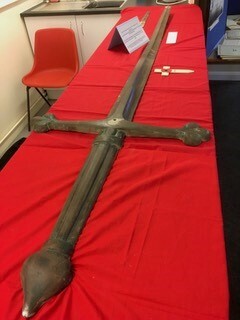 We provided the original cross from the War Memorial in Danbury which is situated where Elm Green Lane meets Bell Hill in Danbury. The large bronze cross dating back to 1920 was removed from the Portland stone war memorial many years ago because it was discolouring the stone. 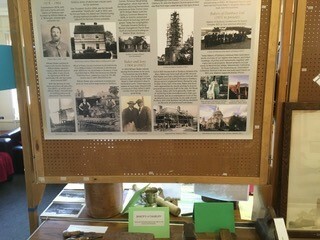 We exhibited a small collection of brickmoulds from Baker’s brickyards and antique tools from our joinery shop. Some of the tools have a number of names stamped on them. These names were of previous owners - it was common for tools to have had many previous owners, because wooden tools are easily restored and maintained. When a worker passed away, it was common practice for his Union or Employer to sell his tools to raise funds for his Widow and family. 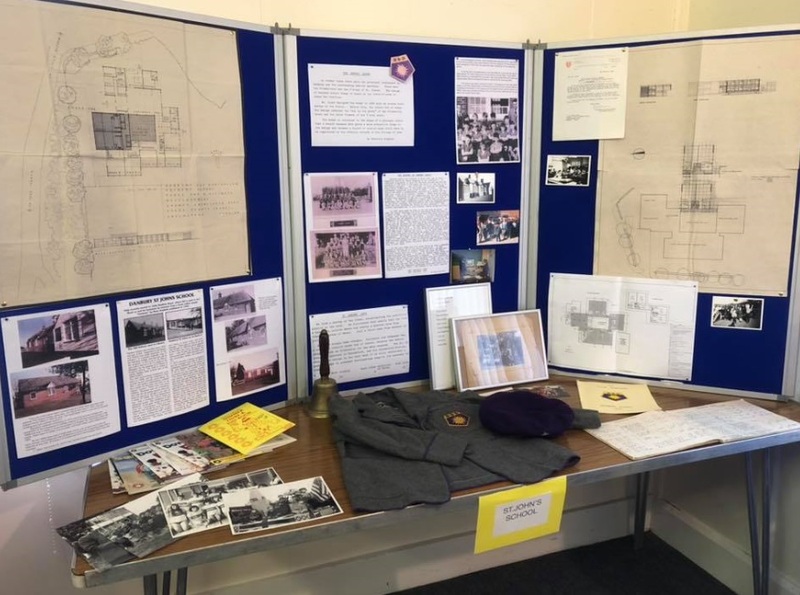 Exhibitions were provided by many local organisations including Danbury Parish Council, St John the Baptist Primary School, Heathcote Preparatory School, The 1st Danbury Scout Group. “Danbury Parish Council would like to thank your staff and company for the invaluable assistance provided before and during the event. 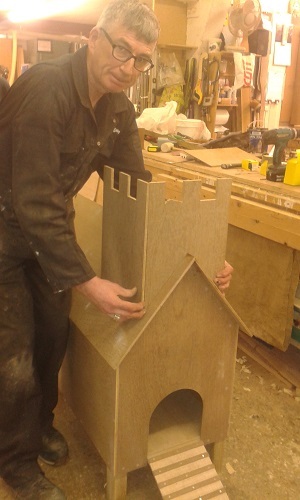 The help provided contributed to the success of the weekend and was very much appreciated." 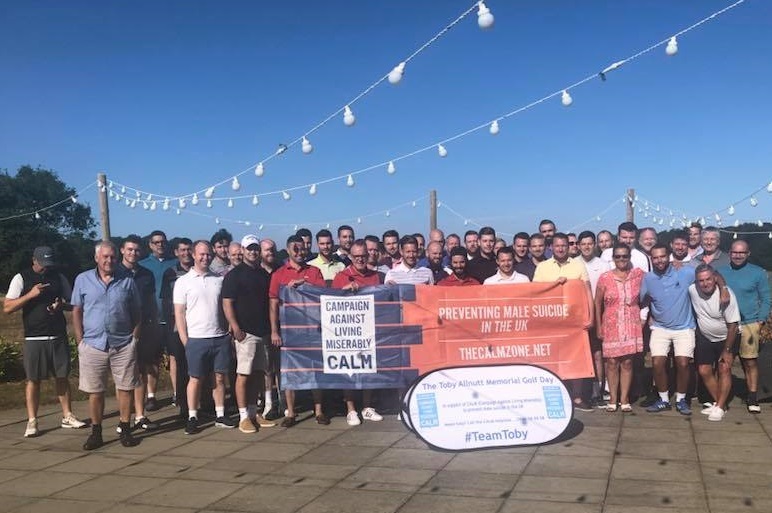 This year Bakers of Danbury sponsored a Charity Golf day in support of CALM (Campaign Against Living Miserably), a charity set up to help prevent Male Suicide in the UK. The money raised for CALM is mainly used towards their helpline and webchat to support men in crisis, as well as their very powerful campaigns that seem to get bigger and better and more publicity with each one. It really is all about raising awareness and letting our fellow men that it is ok to not be ok. I wanted to write to you to thank you very much for sponsoring our Charity Golf in support of CALM (Campaign Against Living Miserably). We held the Golf Day at the end of July at The Farleigh Golf Course in Surrey and despite tough windy conditions we all managed to have a great day to raise awareness and funds for CALM. This was our 4th annual Golf Day and they keep growing year by year, we had 84 Golfers attend this years event which is our biggest number yet and something we are extremely proud of, however this wouldn’t have been possible without people like yourself and your companies sponsoring our day. 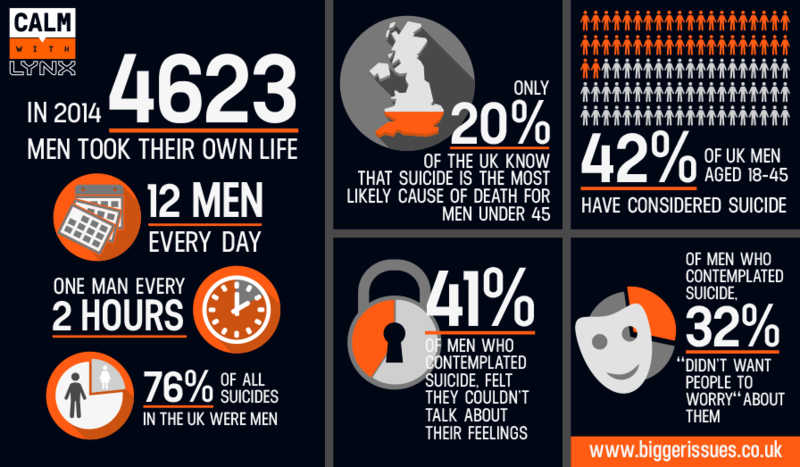 We capped the number of Golfers at 84 as this is a significant number, as unfortunately 84 men take their own life each week in the UK and suicide remains the single biggest killer of men aged 18-45 in the UK. 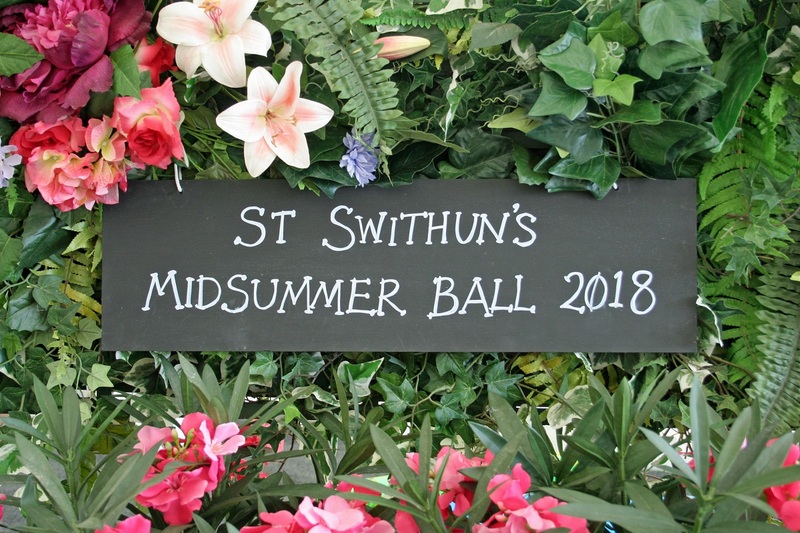 Bakers recently supported fundraising for St Swithun’s Church Restoration Appeal by sponsoring their annual Summer's Ball, which raised just over £13,500. 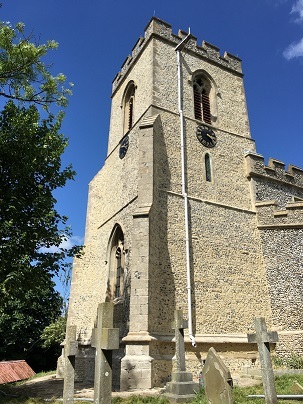 We recently carried out conservation and alteration works to St Swithun’s Church in Great Chishill, which involved extensive conservation of the church tower including repointing and replacement of external flint, refurbishment of the clock dials, replacement of the oak belfry louvres and new lightning protection. The Ball on Saturday was a great success and thank you once again for Bakers of Danbury’s support. We raised just over £13,500, which is an amazing amount and we’re all really pleased and grateful to all those who helped and supported us. 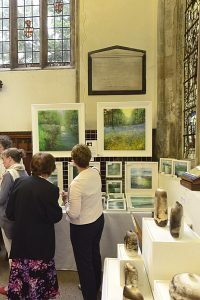 Bakers of Danbury were pleased to sponsor the All Saints Arts Festival again this year. 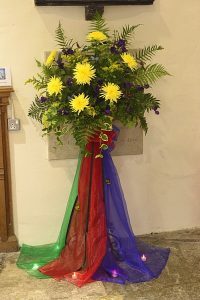 The Festival took place between the 25th and 29th May at All Saints Church, Maldon, Essex. 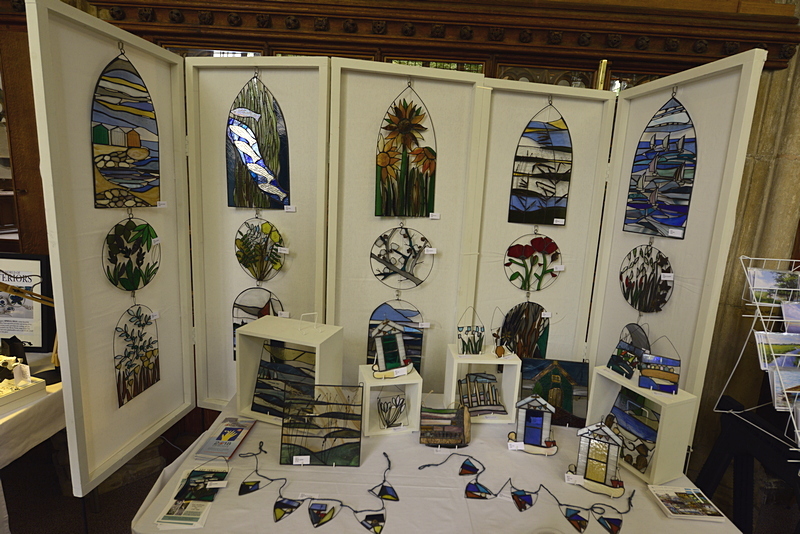 The annual Festival brings together Arts, Crafts and the Community. 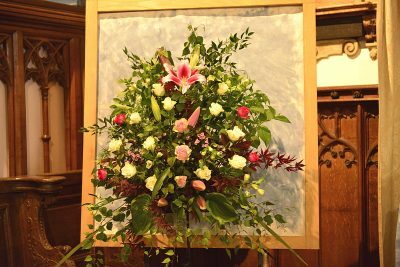 The Festival was a great success, bringing hundreds of visitors into the church to enjoy the arts and crafts, whilst raising £8,325. On behalf of the parish, I would like to thank Bakers of Danbury for your kind sponsorship of the All Saints Arts Festival. 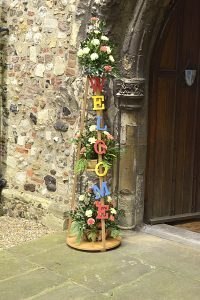 We particularly appreciated your support, given your long association with All Saints, where you did the splendid re-ordering project a few years back, together with ongoing conservation work on the ancient vicarage. This year marks the 140th anniversary for Bakers of Danbury. Having been based on Eves Corner all of that time, Bakers are not only an important part of the history of Danbury, but also part of the village and the local community’s future. 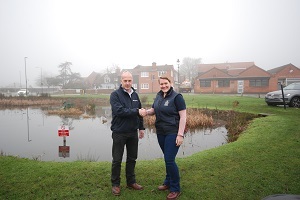 With that in mind, Bakers of Danbury were pleased to make a contribution to Essex Wildlife Trust’s current Danbury Ridge Living Landscape partnership project, to help conserve local wildlife. 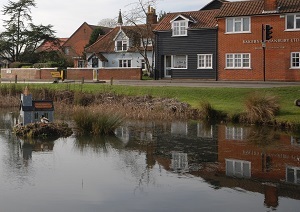 Bakers of Danbury have been an “Investor in Wildlife Corporate Member” with the Essex Wildlife Trust nearly 20 years and work in partnership with the Trust whenever the opportunity arises. 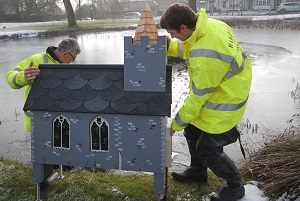 Support from Corporate members such as Bakers of Danbury is vital in enabling Essex Wildlife Trust to carry out Wildlife Conservation work across the County. 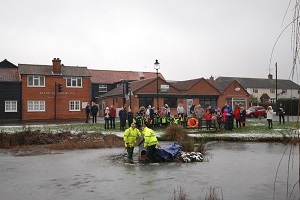 Together with Bakers of Danbury; other local businesses have contributed towards the Danbury Ridge Living Landscape hedgerow planting project to help make it happen. A survey was carried out by volunteers and co-ordinated by the Danbury Ridge Living Landscape partnership (which includes bodies such as Essex Wildlife Trust, Danbury Parish Council, Little Baddow Parish Council, Essex County Council, National Trust, Chelmsford City Council and British Naturalists’ Association) to identify the potential planting sites throughout Danbury Ridge Living Landscape. Following this, a dedicated team of volunteers will start planting a kilometre of native species hedgerow throughout the Danbury Ridge Living Landscape area this month. 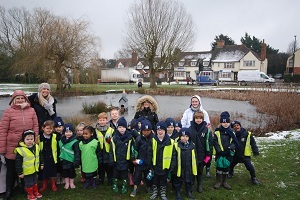 If you would like to offer your time to help with the planting or make a contribution, please do not hesitate to call Emma Ormond, Living Landscapes Coordinator for Essex Wildlife Trust on 07912 267319.